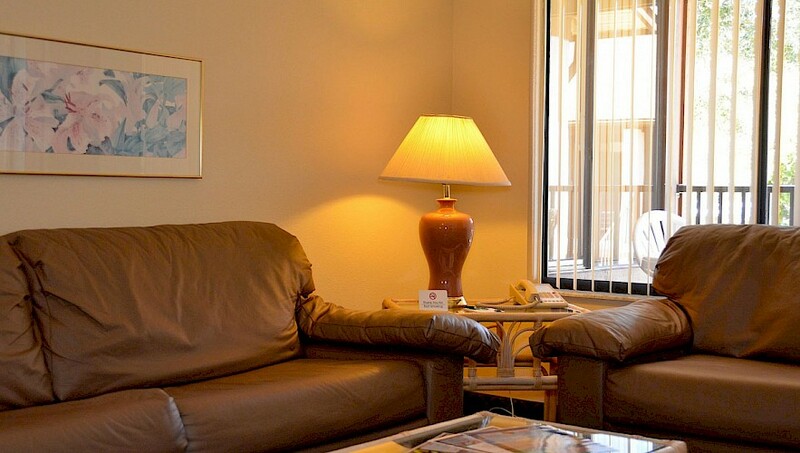 The Villa Apartment is our largest room. 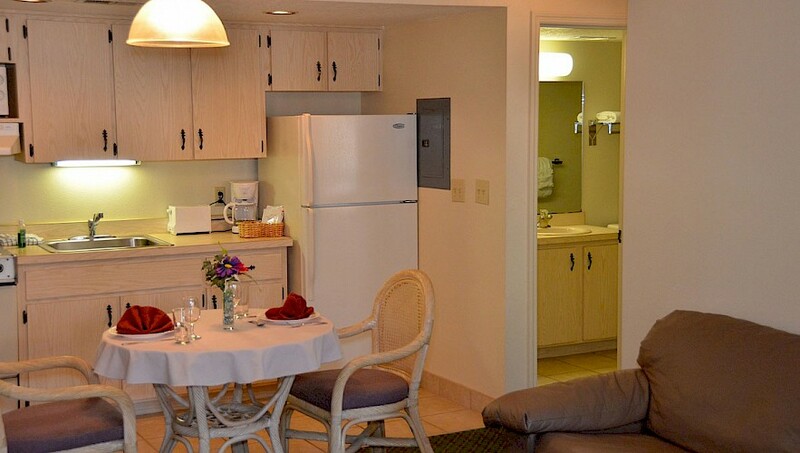 It feature a spacious living area with a complete kitchen, including a full-size refrigerator, oven and a microwave. There is dining for four and a sitting area with a queen sleeper sofa, armchair and coffee table. 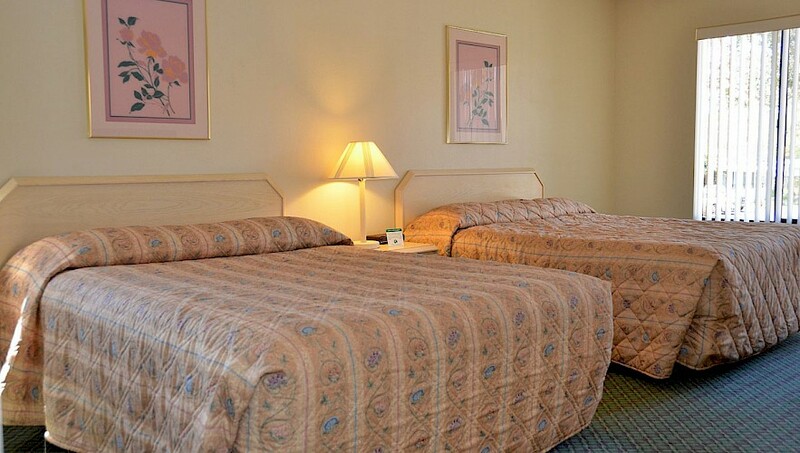 A separate bedroom contains two queen beds and a writing table. The Apartment sleeps 6 using the sleeper sofa. 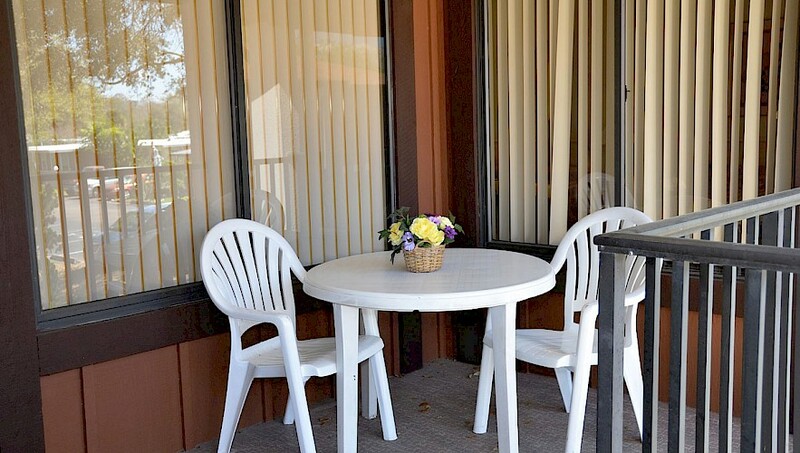 There is also a small Veranda with a table and chairs for outdoor seating. 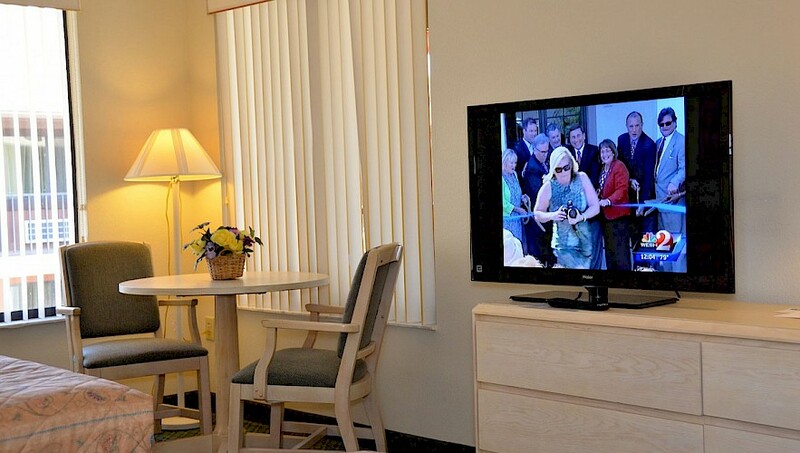 All rooms include modern flat screen TVs, telephone, hair dryer, alarm clock, coffee maker, linens, bath towels and free wireless internet!